About 10 years ago, consumer preferences slowly started shifting away from conventionally produced foods to locally grown. The 2007 release of Michael Pollan’s book, The Omnivore’s Dilemma, was largely responsible for this change. Once awakened to the consequences of our food choices, many of us became much more conscious about what we were eating, how it was made, where it came from, and how it got on our plates. That book heightened awareness about our dependence on agribusiness and the moral and ecological consequences of our food choices. 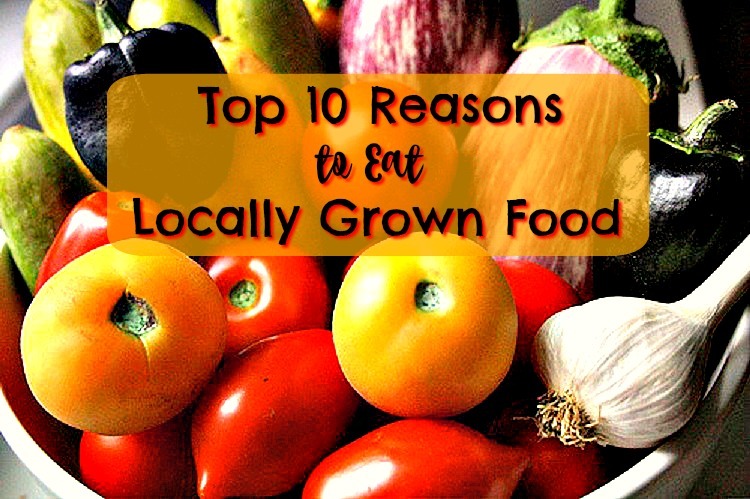 Today, consumer demand for locally grown food is greater than ever. More and more, Americans are starting to understand that locally grown food is healthier, and that it benefits our local farmers and communities. This entry was posted in Healthy Eating, Locally Grown Food, Real Whole Foods and tagged eat local grown on October 8, 2016 by Homesteader's Supply. Homesteaders like to cultivate large gardens, so usually there’s ample “free” food during the warm months of the year. And most of us preserve at least some of our harvest by canning or dehydrating our vegetables, fruits, and sometimes even meats, too. Those of us lucky enough to have root cellars or walk-in coolers use them to store the more hardy types of produce, like potatoes and other root vegetables, winter squash, and cabbage. All these efforts help reduce our grocery bills during the cold weather months. But it’s practically impossible to squirrel away enough food to feed our families all winter long. So, invariably, we end up needing to buy food to supplement the bounty we’ve managed to store. Even in summer, most of us don’t grow enough to sustain ourselves completely, so we have to buy what we can’t produce. And, yes, buying organic, whole foods at the grocery store can get very expensive. But the good news is, you can still practice healthy eating all year long without mortgaging the homestead to pay your grocery bill. 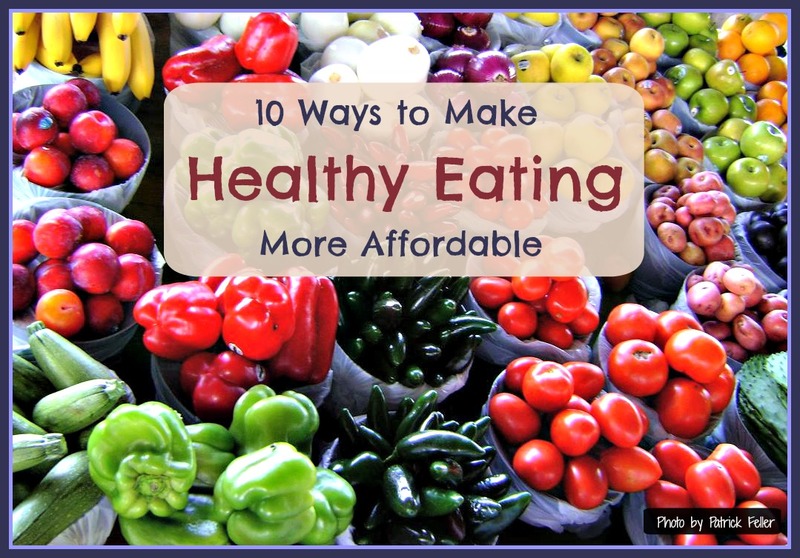 Here are 10 tips to make healthy eating more affordable. 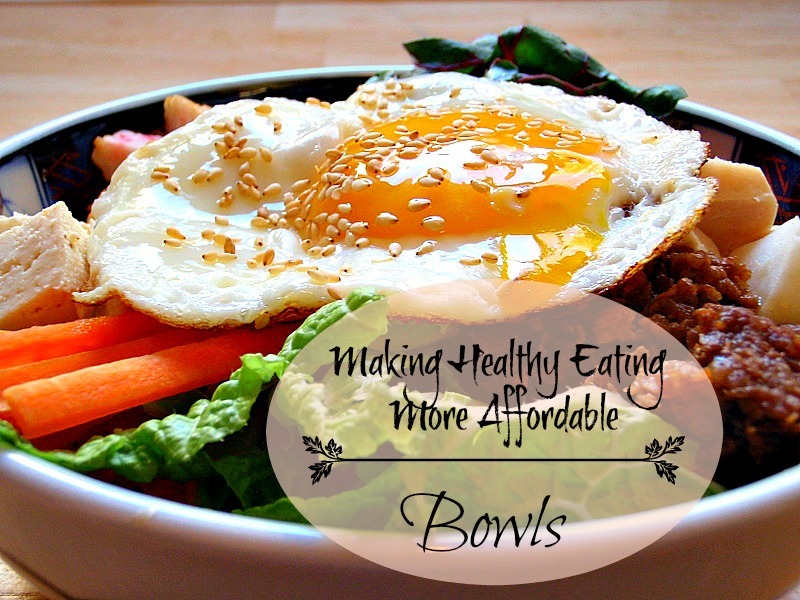 This entry was posted in Budget Friendly, Healthy Eating, How-To, Real Whole Foods and tagged affordable food, budget, saving money on food on October 1, 2016 by Homesteader's Supply. When Hurricane Katrina ripped through New Orleans in 2005, many residents lost their homes. Along with their homes went all the contents, which included countless regional recipes from the Times-Picayune. These recipes had been clipped from the newspaper, saved, and cherished for generations. To preserve the city’s culinary legacy, the people of New Orleans banded together to recoup these lost recipes, one by one. This book is a collection of the recipes recovered as a result of this effort. Each recipe has a story. In this cookbook, you will find an impressive range of recipes, including appetizers, drinks, special Lenten dishes, and desserts. These foods are eaten as part of everyday life in the Big Easy. The recipes are favorites from both home kitchens and restaurants. Nothing says “comfort food” like Louisiana cooking! This cookbook truly is a work of love and a symbol the city’s residents’ determination to recover from, and triumph over, extreme adversity. Love cream cheese? Then be sure to check out How to Make the Best Cream Cheese in the World, featuring a recipe for Creole Cream Cheese from Cooking Up a Storm. Creole Cream Cheese is a unique, regional breakfast food that is served in a bowl and eaten with a spoon. You can sprinkle some sugar on top, or shake on some salt and pepper, or top it with your favorite fruit. No matter how you serve it, Creole Cream Cheese is a nutritious and satisfying food. Why not make some and tell us what you think in the comments section at the bottom of this page? We wish to thank a lovely customer of ours named Libby W. for bringing this unique cookbook to our attention. Libby kindly shared her recipe for Creole Cream Cheese with us, so we could share it with y’all. Thanks, Libby! 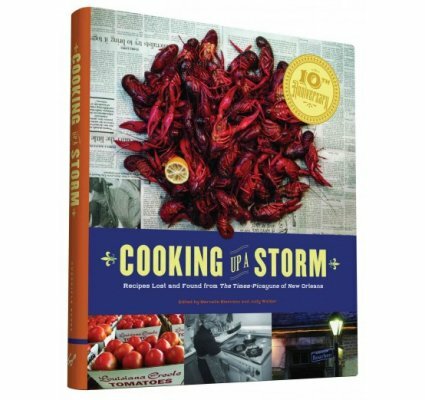 This entry was posted in Book Spotlights, Cheese Making, How-To, Real Whole Foods, Recipes and tagged cookbook, Cooking Up a Storm, Creole Cream Cheese, Hurricane Katrina, New Orleans, regional recipes on July 23, 2016 by Homesteader's Supply. 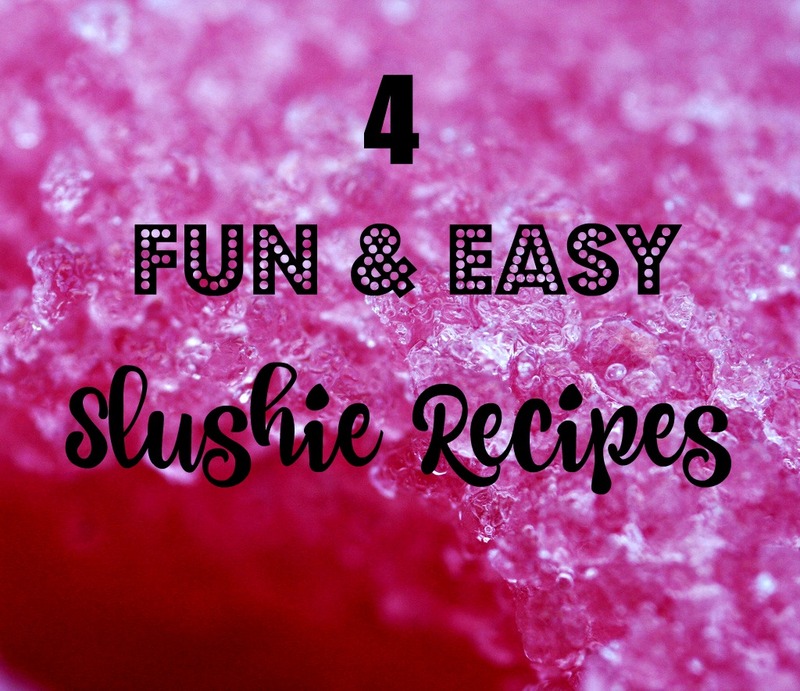 When it’s hot outside, there’s no better way to cool down than with an ice cold slushie. If you ever went to the beach or an amusement park as a kid and got a snow cone at the refreshment stand on a sweltering summer’s day, these will bring back some happy memories. This entry was posted in Real Whole Foods, Recipes and tagged ice shaver, snow cone maker on June 18, 2016 by Homesteader's Supply. 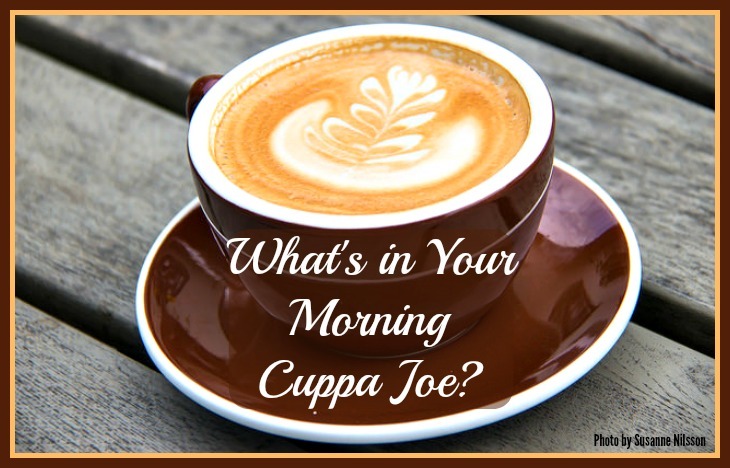 What’s in Your Morning Cuppa Joe? If you’re a coffee fanatic, you know what it’s like to crave that steaming, aromatic elixir. There’s nothing like that first sip of your morning cuppa joe. Not only is the flavor heavenly, but that little jolt we get from the caffeine gives us the kickstart we need to get going in the morning. Coffee truly is one of the few guilt-free indulgences we have left in a world that bombards us daily with health warnings about the foods we enjoy most. Isn’t it wonderful that coffee can deliver so much pleasure and be good for us, too? It sounds too good to be true, and it almost is. You can make the purest cup of coffee with the finest quality beans (organic, non-GMO, free trade, shade grown, and all that). But, if you use a creamer, make sure it’s pure too. Otherwise, every delicious cup of heaven you drink could end up raising hell in your body later on. Okay, so you know to avoid fake cream because it’s loaded with unhealthy chemicals. But do you think a natural creamer like half-and-half is a safe bet? Maybe. Or maybe not. It would be wonderful if everyone could tolerate dairy products and we all had a family cow, or at least easy access to unadulterated milk and cream. Obviously, that’s not realistic, so we have to educate ourselves about how foods are manufactured and learn how to read ingredient labels. Artificial non-dairy creamers aren’t even an option for the health-conscious consumer. So that leaves us to choose from an array of conventional dairy products and “healthier” brands of non-dairy creamers, like those found in natural food stores. Traditionally, half-and-half has been the creamer of choice among coffee drinkers. Real half-and-half is a blend of equal parts whole milk and cream. Ideally, the milk and cream should be organic. (Conventional milk and cream often comes from GMO-fed cows, some of which have been treated with hormones like rBST.) Store-bought half-and-half contains between 10.5 to 18% butterfat, The extra fat gives coffee that much-coveted smooth and creamy mouth feel. It would be great if all brands of half-and-half on the market today contained just those two ingredients. Sadly, that’s not the case. Food manufacturers know how much we love that creamy texture, so they try give us more of what we want by adding various thickeners, emulsifiers, and gums. They also know these additives help increase profits by making half-and-half cheaper to manufacture. But that’s not all. Fact is, most of the milk and cream nowadays is ultra-pasteurized. Ultra-pasteurization thins the cream, but these additives are designed to fool you into thinking it tastes like real cream. The process of ultra-pasteurization also frees up glutamic acid from the milk protein and creates free glutamate. That means there could be MSG in your half-and-half. So, why not just use the regular method of pasteurization? Well, apparently grocers complain that the products spoil too quickly. Carrageenan is the ingredient we most commonly see added to half-and-half. It acts as a thickening agent and an emulsifier, making sure the product stays mixed. Carrageenan is not digestible and has no nutritional value. It’s naturally derived from red seaweed, so you’d think it would be safe to eat, but it’s not. Research has shown that it’s especially destructive to the digestive system. Carrageenan triggers inflammation in the gut, which can lead to leaky gut, ulcerations, bleeding, and possibly even cancer. Most of the animals studied in lab environments developed colitis and tumors with long-term use. That’s some pretty scary stuff. Incidentally, carrageenan is also frequently added to those (supposedly) healthier non-dairy creamers we see in natural food stores. So if you have trouble digesting dairy products and frequently use these organic brands of non-dairy creamers, you’ll want to choose a product that’s free of carrageenan (and any other undesirable additives). But here’s an even better idea. Make your own super-delicious non-dairy coconut coffee creamer using the recipe at the end of this article. All it takes is three ingredients and thirty seconds to whip up a blissful addition to your morning cuppa joe. Half-and-half sometimes contains other emulsifiers instead of (or in addition to) carrageenan. It’s common to see disodium phosphate and sodium citrate (also known as citric acid) on the ingredients label. Sodium citrate is considered safe; it acts as an emulsifier to keep the fat globules distributed evenly throughout the liquid so they don’t clump together. Disodium phospate is also an emulsifier and works much the same way. Both of these ingredients prevent the butterfat from separating from the liquid. You might also find guar gum listed on the label. Guar gum is yet another emulsifying agent. It’s a natural additive derived from guar beans. Guar gum can sometimes be a little harsh if your digestive system is weak. And, it can cause embarrassing gas. Oh joy! Mini Moo’s are made from conventional milk and cream from cows that were probably raised on GMO feed. They also contain various emulsifiers–specifically, sodium citrate, DATEM, tetrasodium pyrophosphate, and carrageenan. The sodium acid is considered safe when used in tiny amounts as a food additive. However, the DATEM is derived from soy, canola, and palm oil, all of which are GMO ingredients. Although GMO’s have been banned in numerous countries, the United States continues to maintain they are safe. Research on the effects of GMO’s on the human body continues while the political debate surrounding the creator of GMO foods (Monsanto) rages on. But, in the end, the good news is that it’s really not that hard to find half-and-half that’s free of additives. You might consider a cow share to ensure your family always has a ready supply of healthy raw milk. Then you can make your own butter, cream, and half-and-half. If a cow share isn’t an option for you, then look for high-quality organic brands that contain only two ingredients. The label should say it contains pasteurized organic milk and organic cream. That’s it, nothing else. You can find organic brands at natural markets and in many conventional grocery stores. If your local supermarket doesn’t carry it, ask the manager to order some for you. As more people continue to demand high-quality organic foods, they will become more readily available. So, now that you know how to make a creamy cuppa joe, are you ready wake up to nirvana in a cup? Please share your secret to a perfect cuppa in the comments! This entry was posted in Health, Real Whole Foods and tagged carrageenan, coffee, food additives, non-dairy coffee creamer on June 5, 2016 by Homesteader's Supply.